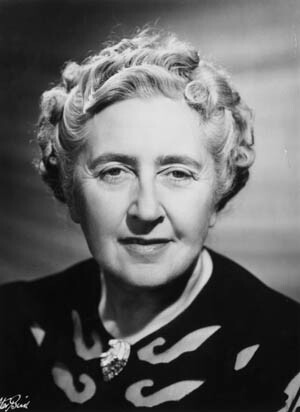 The Guinness Book of World Records lists Agatha Christie as the best selling novelist of all time. Over the years, I’ve done my part in helping to make her so. Christie’s preferred fictional murder weapon was poison. Of the more than 300 people who died in her stories, at least 100 ate or drank something they did not live to regret. In a fun segment on last week’s Science Friday, Ira Plato interviewed Kathryn Harkup, chemist and author of A is for Arsenic: the Poisons of Agatha Christie. Christie started writing in her twenties and did not meet with instant success. Kathryn Harkup gives an example of the plot complexity of her first published novel, A Mysterious Affair at Styles, 1920. The elderly victim is killed by with a lethal dose of strychnine, which at that time, was given, in measured doses, to the elderly as a tonic. The killer, however, added bromide, a popular sleeping powder, to the solution, which caused the strychnine to precipitate out as crystals at the bottom of the bottle. The final teaspoon would be lethal, and the killer could arrange an airtight alibi. Harkup’s research revealed that Agatha Christie had studied the effect of combining these two drugs as a lesson in what not to do, in the course of her apothecary training. If you have ever watched a Hercule Poirot or Miss Marple movie, or purchased one of the two billion copies of Agatha Christie books that have been sold, you’ll want to check out the Science Friday interview! This entry was posted in Authors, Books, Entertainment, Writing and tagged Agatha Christie, authors, books, fiction, Novels, writing. Bookmark the permalink. I played the old lady killed by a “bee sting” in Ten Little Indians in high school. I do love the mysteries of hers I have read. Thanks for the link. The book sounds pretty interesting as well.